Throughout 2012 we are sharing an illustration with you every week to help you to re-imagine the future that you choose. For the thirteenth week of 2012 , we are sharing Henry Hick’s Future. Henry is senior consultant at Futerra and creates work shaped by sustainability, behavior change and creativity. The Future I choose is one where we realise the positive impact we can have on the people and the world around us through our daily decisions and actions. It’s ‘us and us’ not ‘us and them’. It’s an interconnected, transparent, collaborative, empathic and fun future. I have chosen this future, because I believe in positive thinking, empathy and effective positive decisions that each one of us takes for a better peaceful and a future full of understanding and communication. My work reflects upon Henry Hick’s statement interpreted through my ‘lens’ and depicts a concept of an interconnected existence, that aims in no other than positiveness and collaboration and to keep connected with the world outside or within, all transformed in a conceptual visual composition. 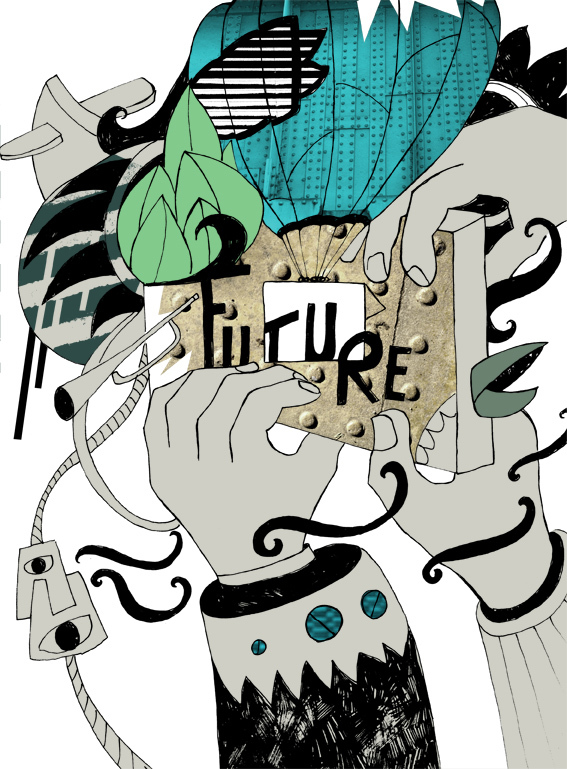 Week 12: 2012 // Futures Illustration – Vote for the Future.